of travelling around Europe carring an 80+ Kilo ramp everywhere. This is wicked... bringing the huge ramp everywhere is super cool it opens up a new world of possibilities. Sven puts in WORK dude gets so much footage! 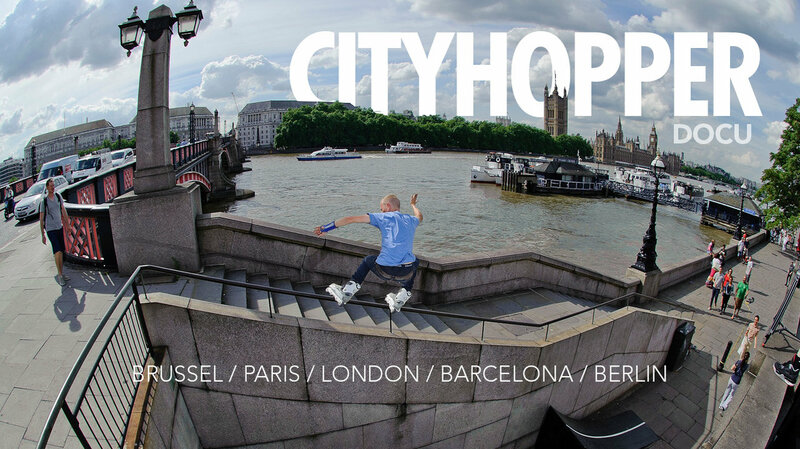 So many amazing skate spots...one of the best inline skate videos I've ever seen. Rare; when a video is worthy of the hard line, big screen, sound system. Only a couple of guys have ever made in-line mad cool. Arlo and Sven. Arlo has a cameo from '96. Cityhopper is moneybong.